We asked our aesthetician, Anna, to pick the top five skincare products that she regularly recommends to her clients. There is something for everyone and every skin type on this list! For a limited time only, place an order online and receive a free Revitalash Primer & Mascara OR a Revitalash Hi Def Tinted Brow Gel. RapidX: These are unidose applications of a fruit and botanically-based exfoliant. They can be used as a set for 14 days to regenerate and reveal brighter, smoother skin, or they can be used alone before makeup application, after travel, or during hormonal breakouts. This product gently promotes skin cell turnover and can also help fade discoloration. In my opinion, Rapid-X is the most gentle and effective chemical exfoliant available for purchase. C-Serum: This is a best selling product at our salon, and the #1 seller for Repechage worldwide. This can be used alone for those with oily skin or layered underneath your moisturizer for those with dry and/or dehydrated skin. C-Serum is basically seaweed in liquid form -- complete with amino acids, vitamins, trace minerals and peptides--so it is super hydrating and so good for your skin. 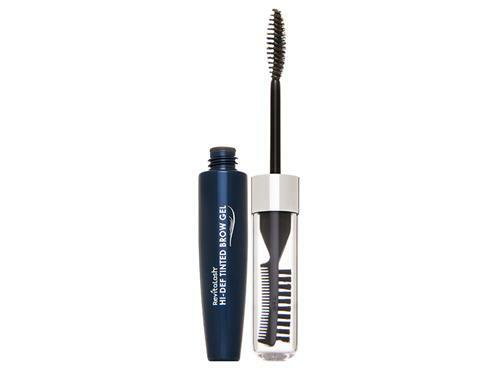 Revitalash Hi-Def Tinted Brow Gel: This product provides all day hold to keep unruly brows in place. It comes in two colors, soft brown and dark brown, and the buildable tint allows you to customize the desired darkness of your brows. All Revitalash products are ophthalmologist and dermatologist tested to ensure the product is safe and effective for your eyes. 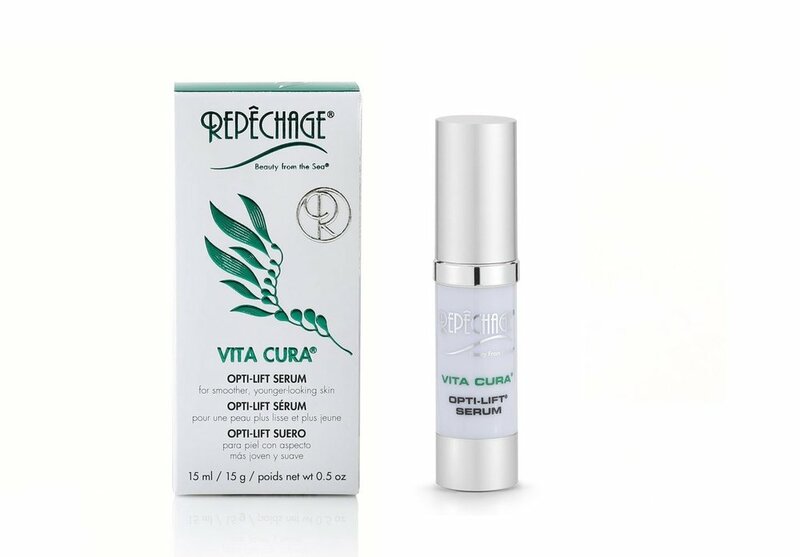 Vita Cura Opti Lift Serum: This product contains a three-dimensional polymer that provides a temporary tensile lift. Opti Lift Serum helps to diminish the appearance of crow’s feet as well as other visible signs of aging when you gently press it into the skin. This product can be layered underneath your regular moisturizer and even used as an eye cream to diminish puffiness! Red Out Cleanser: This is a gentle foaming cleanser that contains a combination of seaweed, rosemary, chamomile, and microsilver. It gently purifies while simultaneously calming visibly red, stressed out, environmentally-compromised skin. I use this after extractions in the treatment room, and clients always leave looking fresh faced and not irritated. As the #1 professional hair care brand worldwide, Kérastase has pioneered luxury care for over 50 years. The brand is inspired by an intimate knowledge of the modern woman and brings together innovative, bespoke products with a professional diagnostic approach to treat each woman’s individual hair needs. Buy three of the products below (in-store or online) and receive a free gift. It provides protection against the active heat and adds intense shine from roots to ends. Stylist Tip: Use on wet hair for extra nourishment or on dry hair to tame flyaways. Stylist Tip: This product also doubles as a detangling spray and style refresher. Stylist Tip: Start at the hairline and work droplets towards the nape, apply 3x a week for best results. 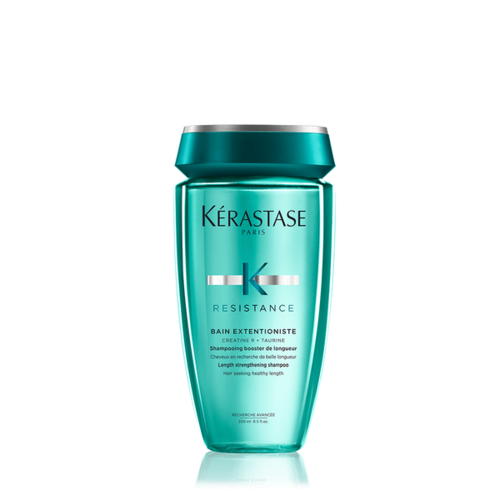 A Kerastase favorite for more manageable, softer hair. 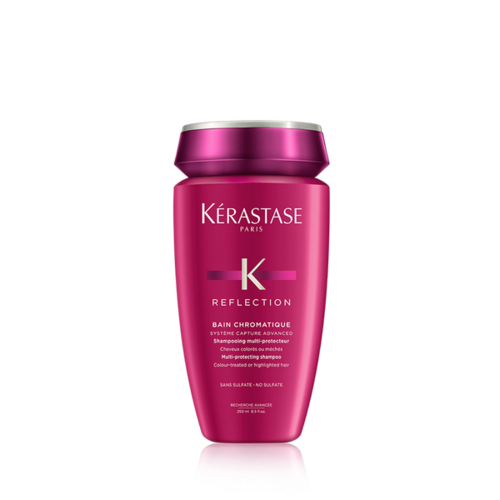 Kerastase favorite for color protection, lasting vibrancy and shine. Struggling with your skin type and condition? We have solutions for your struggles in the form of four Repechage facials. Read below to find the facial that suits your individual needs! RED OUT FACIAL — Contains micro-silver which neutralizes and minimizes the redness associated with rosacea. OPTI-FIRM EYE CONTOUR TREATMENT — Helps to combat visible appearance of dark circles, puffiness, and wrinkles. Click HERE to book your appt. Winter months mean cold, dry weather that can easily do a number on your hair and skin. We’ve all woken up with ashy legs and static hair and felt like we became dehydrated overnight. Besides leaving your heater on full-blast, other external factors including cold temperatures and low humidity tend to worsen dry skin during the winter season. These conditions strip the protective oils from your skin, allowing moisture to escape and your skin to become dehydrated. While dry skin by itself is not a big deal, it can also lead to itchiness, thick rough patches of skin, painful cracks in your skin, dermatitis, eczema, and at worst -- a bacterial infection. **It is important to note, that there is a huge difference between dry skin and dehydrated skin. Dry skin needs oil, dehydrated skin needs water. If you aren’t sure which condition you are suffering from, visit your local esthetician so he or she can determine the best course of action. As we begin to venture into the fall months, living in the Pacific NorthWest means the beginning of rainy season. For those of us with naturally curly, frizzy or unruly hair -- fall is one of our most dreaded seasons. For those looking for a more permanent solution to their seasonal hair woes, a keratin treatment is the way to go. A keratin treatment is a hair smoothing process that (simply put) fills in the porosity of your hair. Overly-porous hair often appears curly, frizzy and can cause breakage. Keratin is the protein that makes up your hair, so by applying keratin (and heat!) the treatment fills in the missing proteins and provides an overall smoothing effect. The process is intensive and usually takes about two hours depending on hair length and natural texture. Besides the long-lasting effects, the length of the service is largely what contributes to the high-ticket price of this treatment. However, the effects are well worth the price as they last about four months and most clients often become repeat customers who regularly schedule their keratin treatments. 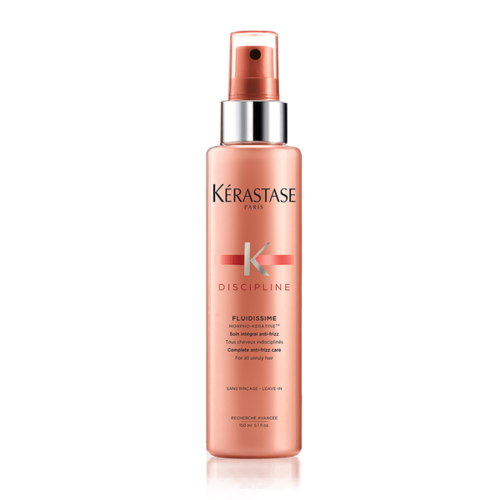 Following a Keratin treatment, we recommend purchasing keratin-safe shampoo and conditioner to maintain the length and integrity of your keratin treatment. Shampoos and conditioners with sulfites and sodium chlorate can damage or shorten keratin treatment results. Shu Uemura Color Lustre and Kerastase Discipline are two shampoo and conditioner lines that can lengthen the life of your keratin treatment and maintain hair health. When properly cared for, the results are long lasting and even regular clients need only get a treatment three or four times a year. Keep in mind there are a wide variety of keratin and keratin-like treatments and yet all are not created equal. It is important to ask questions when before receiving a keratin treatment as there are varieties with high formaldehyde concentrations and those with less harmful chemicals that focus on smoothing the cuticle rather than straightening. The more you know about the brand of keratin as well as the experience of the salon providing the treatment, the better the end results and most importantly... the happier the client. As fall weather makes its way into our lives, we are taking a look at some of the most popular fall hair trends. With more information comes more mis-information and we are here to correct some common mistakes that people make when it comes to choosing ingredients and products for their face. Five Common Hair Myths - BUSTED! We hear all too often about tips and tricks for hair hacks to make your locks longer, stronger or healthier. Here are some common hair myths that we have busted wide open so you can be all the wiser. We break down all of the best men’s grooming tips and tricks. From shaving to asking for the right products, these tips are all you need to know! Bowie Salon and Spa voted one of THE TOP 100 HAIR SALONS IN AMERICA by Elle Magazine.